More than 700 family members face possible deportation. Fewer than 400 migrant children, ages 5 to 17, have been reunited with a parent, according to the latest court filing from U.S. government attorneys. The joint filing was made Thursday afternoon. It’s the latest update since the ACLU successfully challenged the government’s separation of undocumented migrant children from their parents when caught crossing the U.S. border illegally. The court filing confirms 364 children have now been reunited with a parent. Another 1,600 are potentially eligible for reunification. Federal District Judge Dana Sabraw set a July 26 deadline for reunifying all families who were separated when attempting to cross the border illegally. Of that group, more than 800 children have been formally cleared to rejoin their parents, who are held in detention centers across the country. The government stated that 908 children and teenagers are not eligible for reunification or their current status is unknown. The Department of Justice also revealed for the first time that 136 parents have declined offers to be reunited with their children. 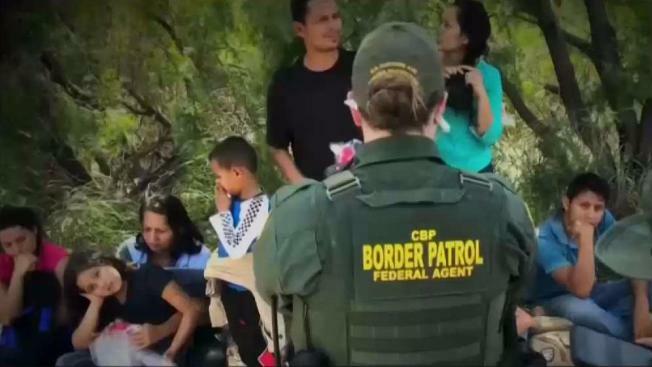 Ninety-one parents were identified as having criminal records or other problems that the government said made them ineligible to be reunited with their children. Seven-hundred and nineteen of the 2,551 “class members” have been served with a "final order of removal" and could be deported, according to the ACLU. In the court filing, ACLU attorneys said the government has not given them information about families who have been released from ICE custody, deported or given final removal orders. The ACLU claims those families must be immediately informed about their options and their children’s options. 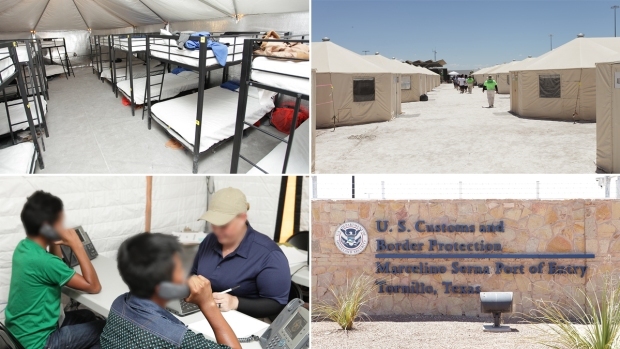 After the Trump administration began separating migrant children from their families at the U.S.-Mexico border, questions arose about the shelters where the children were being kept. This map shows the location of 87 child-care facilities housing children seized from their parents and other children who crossed the border without an adult or unaccompanied immigrant minors. Foster-care agencies are not included. The Office of Refugee Resettlement has custody of about 12,000 children in all, about 2,000 of them taken under President Donald Trump’s “zero-tolerance” immigration policy. In June, Trump signed an executive order reversing the policy of separating families, and his administration is now under court order to reunite them. About half of children under 5 have been returned to their parents under court order, as of July 12. But the others remain separated for a variety of reasons, among them because their parents have been deported or the administration has raised safety concerns. Older children must be reunited with their parents by July 26. The resettlement agency has paid companies in 18 states $3.4 billion since 2014 to house the children, with grants awarded under the “Unaccompanied Alien Children Program.” The funding information comes from the federal Department of Health and Human Services’ “Tracking Accountability in Government Grants System,” according to The Associated Press. The data for the map was obtained by Reveal from The Center for Investigative Reporting and has been updated in Texas by The Texas Tribune with information from the Texas Health and Human Services Commission. Reveal received the information through a freedom of information request for information on all facilities that housed children under the supervision of the Office of Refugee Resettlement as of June 2017. It modified its original list with additional federal data. The map shows the capacity number of children that each facility was contracted to house as of June 2017. Shelters can receive variances to increase their capacity. “These parents may only have a matter of days to make the momentous decision whether to leave their child behind in the United States,” the ACLU argued. On Monday, Federal District Judge Dana Sabraw temporarily halted any family deportations, at the request of the ACLU. Sabraw will consider any government arguments to the contrary and could allow deportations to begin as soon as July 26. To read the entire court filing, click here. All of the information included in the latest court filing will be discussed before Sabraw on Friday afternoon.